The infinite stones and beads of variable colors, shapes and sizes that adorn this try of earrings boost its majestic beauty and elegance. Finishing the spirited look, square measure the pink teardrop hangings. 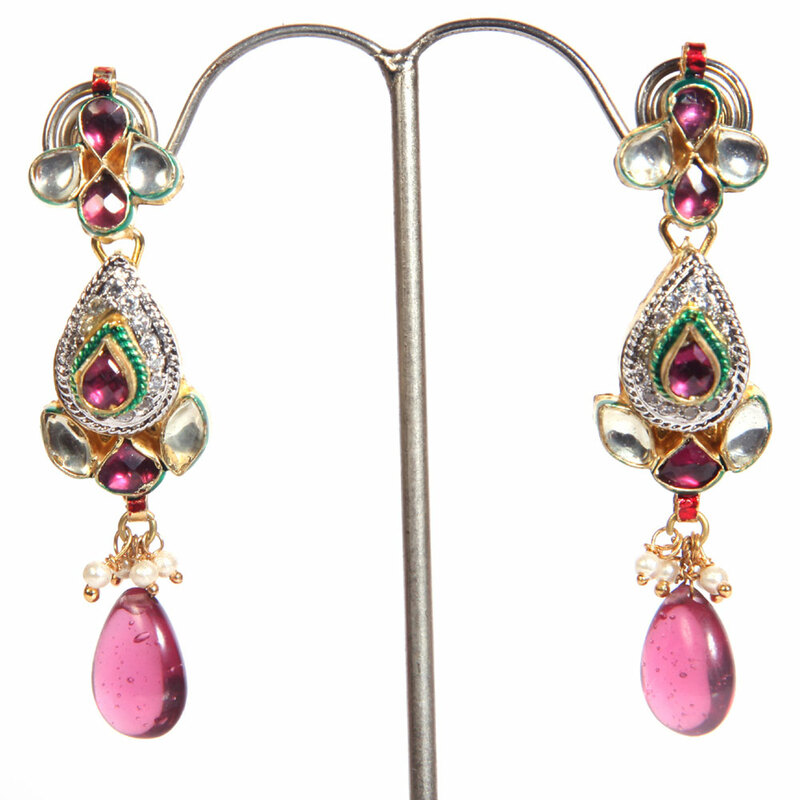 This pair of multi-coloured fashion earrings has unique liveliness to it that appeals to the onlookers instantly. The countless stones and beads of varying colours, Read More..shapes and sizes that adorn this pair of earrings add to its majestic beauty and style. Completing the lively look, are the pink teardrop hangings. Show Less..